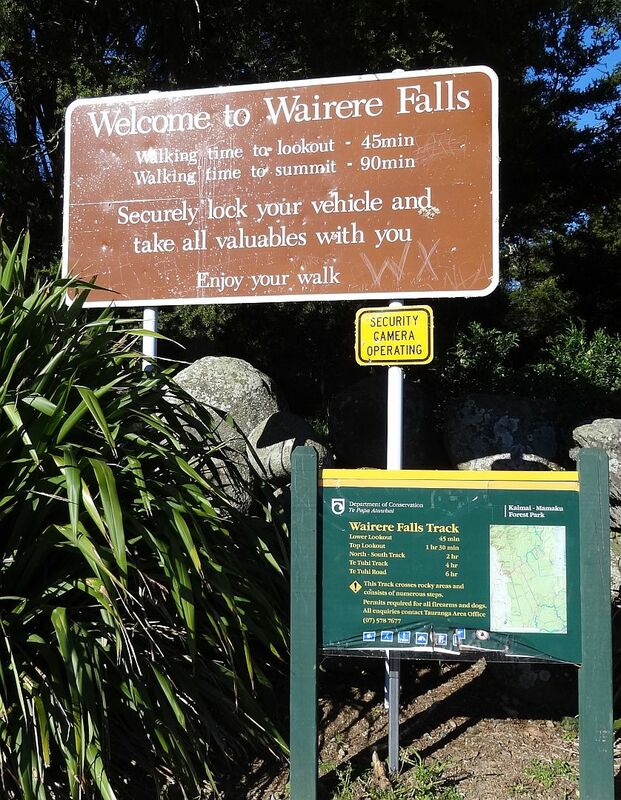 The Wairere Falls track is accessible from the end of Goodwin Rd, off Old Te Aroha Rd. There is a carpark at the end of the road, and the track starts by the carpark. The track to the falls lookout is a relatively easy walk, with some steps on the way, but the track from the lookout to the top of the falls is quite steep in places. 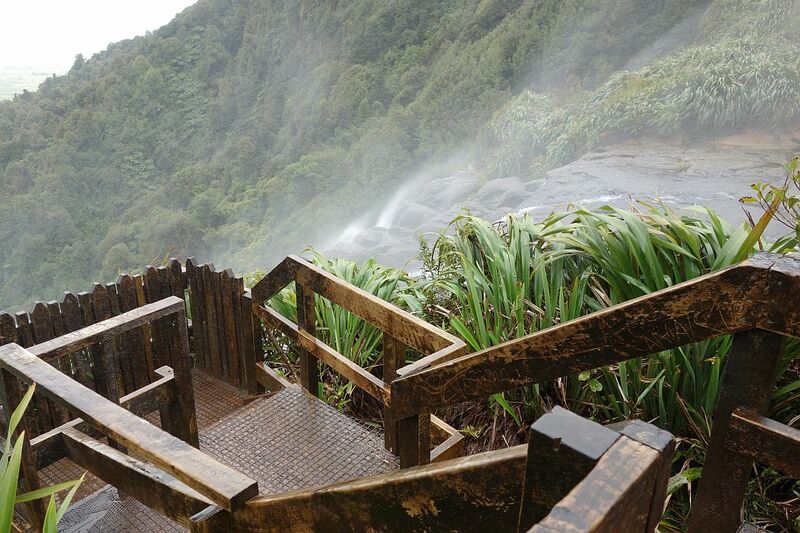 There is a lookout at the top of the falls, but the falls themselves are not visible from this lookout. 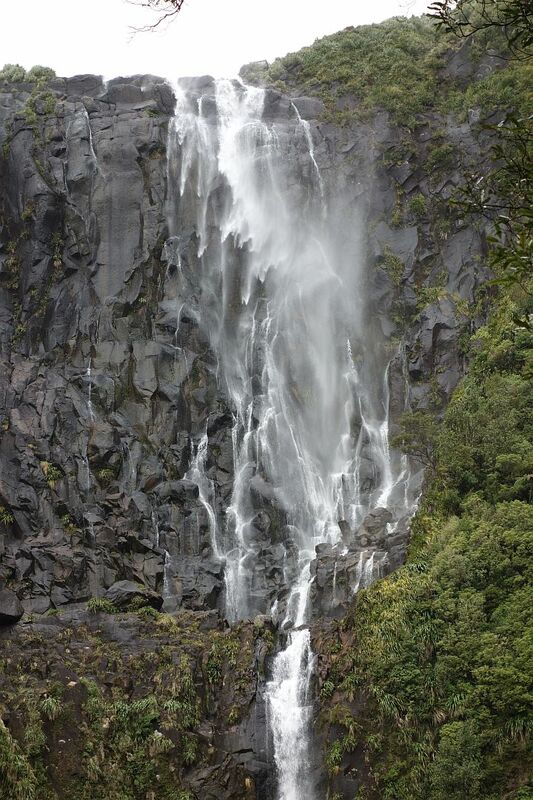 The falls are at their most spectacular after heavy rainfall over a longer period of time. 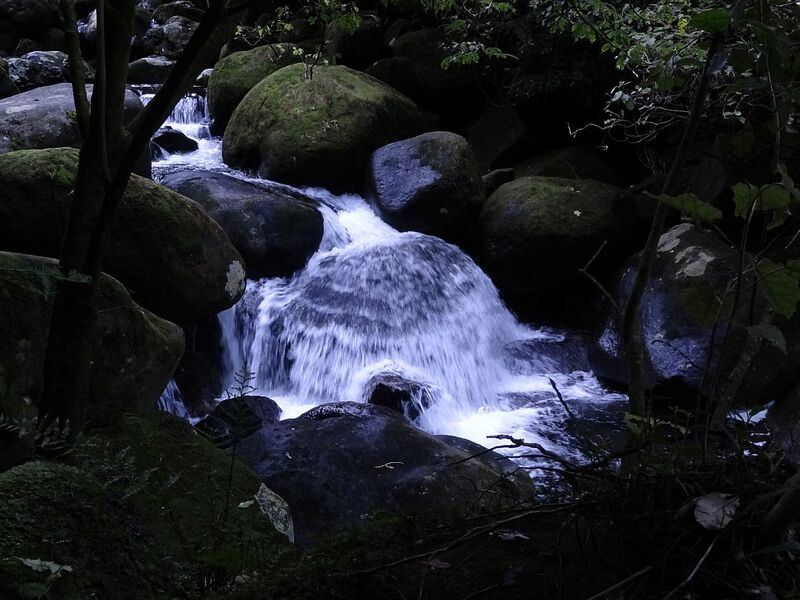 During the summer months with little rainfall the stream becomes just a trickle, and not as interesting to visit.The walk to the lower lookout follows the stream, and takes about 35 to 45 minutes. A similar time would be required to reach the top of the falls from the lower lookout. From the top of the falls the track continues on to join up with the North/South track along the ridge of the Kaimai Range. There are toilet facilities near the start of the track, not far from the carpark. More information about the track and the falls can be found on DoC’s web site. 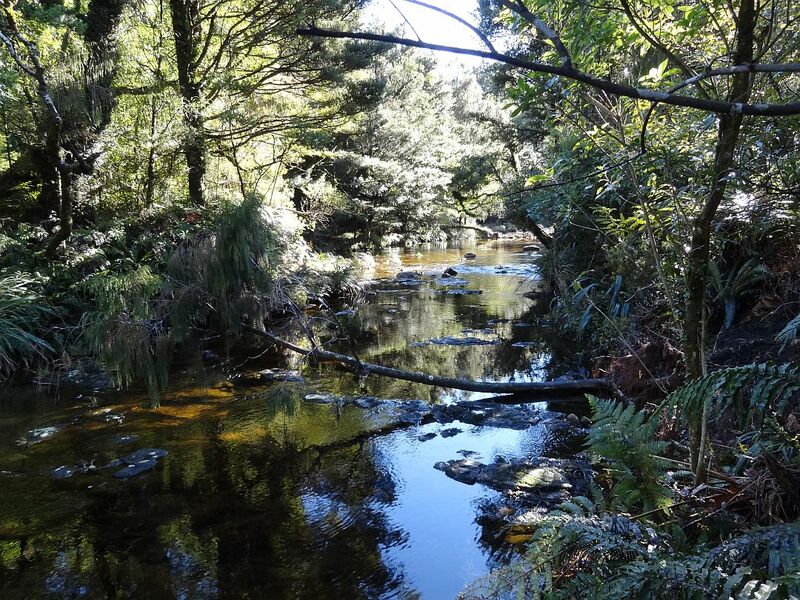 The stream is visible along part of the track leading to the lower lookout. The falls seen from the lower lookout on a fairly calm day at the end of June 2013. 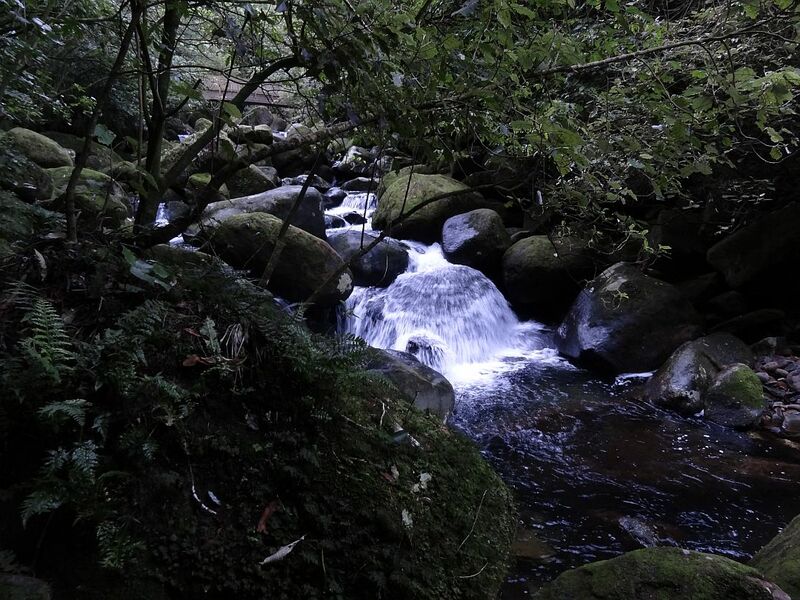 During the winter months there is often more water in the stream than this. 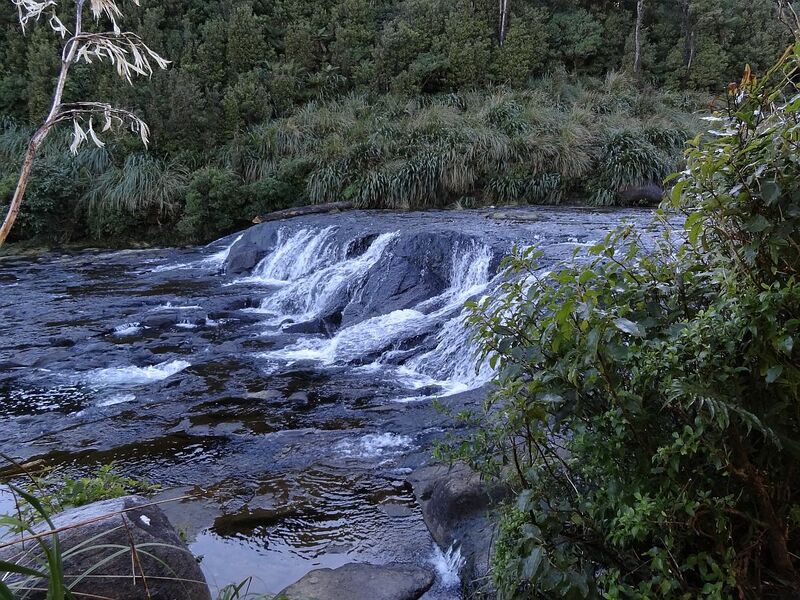 On windy days with strong westerlies the water can be blown back up the waterfall. This was in September 2013. 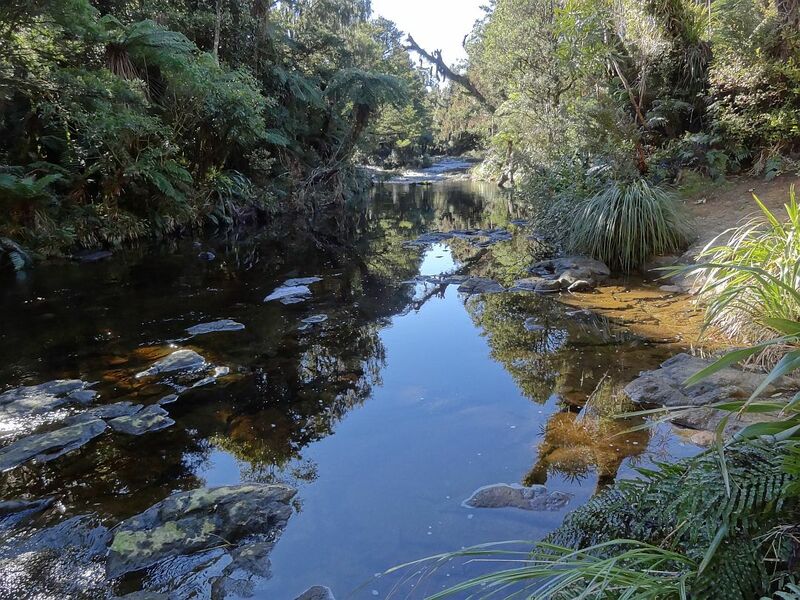 The stream is much calmer at the top of the falls, with several small falls visible from the track. 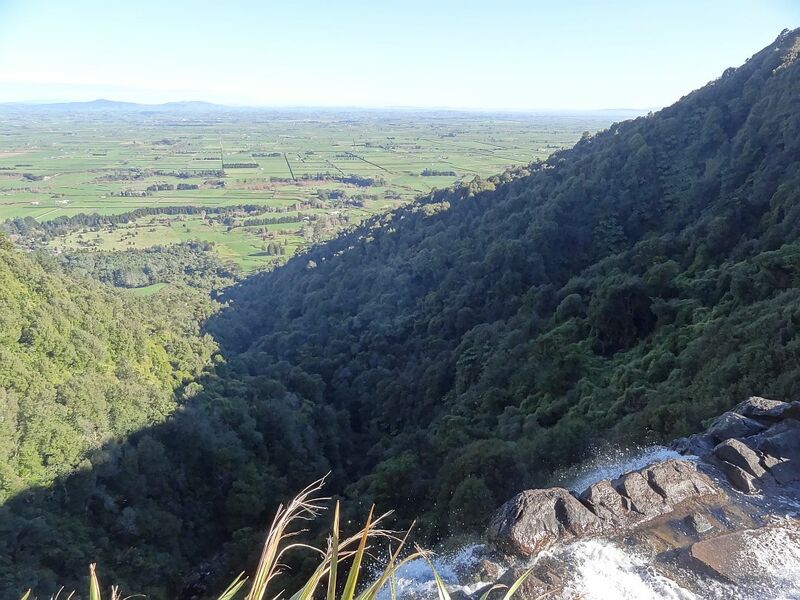 The views over the Hauraki Plains and Waikato from the lookout at the top of the falls is impressive on a clear day. This is at the very edge of the falls looking down the valley below the falls. The lower lookout is also clearly visible from this lookout. However, on a windy day with strong westerlies the lookout is very exposed to water being blown back up over the edge of the falls. 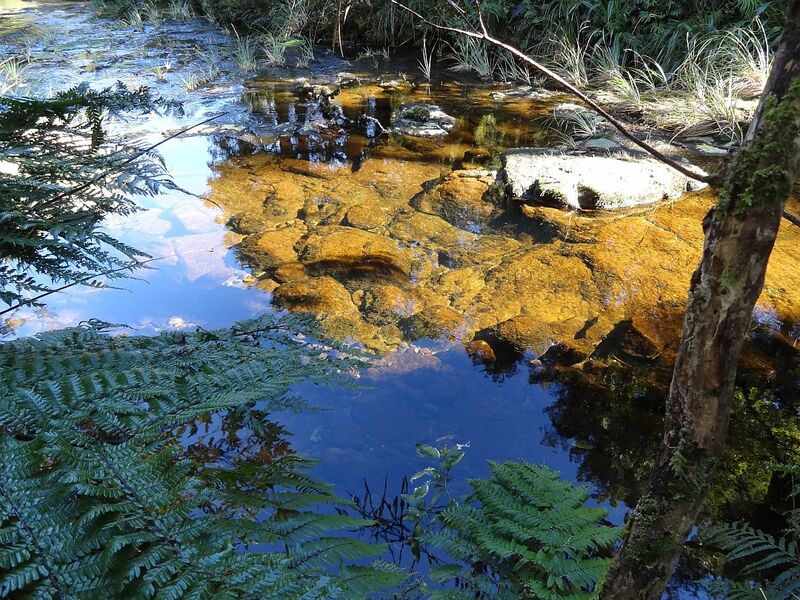 Further upstream the water is somewhat calmer, and very clear. 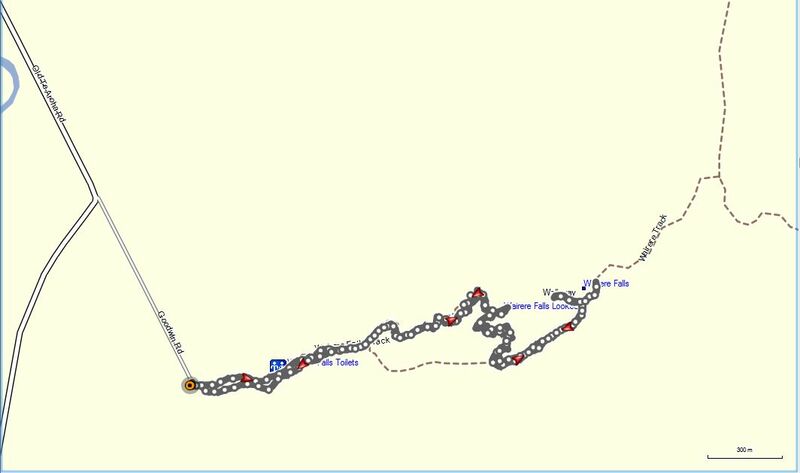 The track was walked on June 29, 2013 and again on September 7, 2013. The GPS track log and the windblown photos are from the September walk. 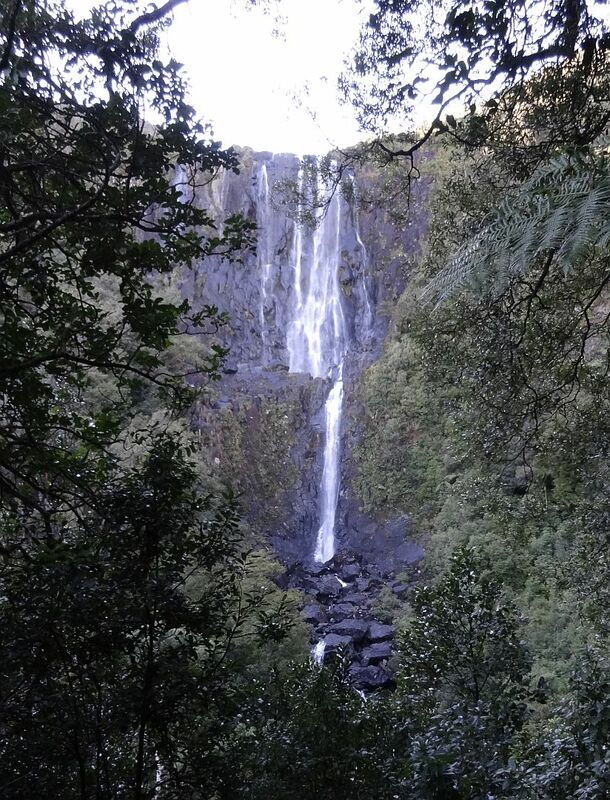 This entry was posted in Walks and tagged Te Aroha, Wairere Falls on 2014-09-23 by nzartig.